New Years in Japan is a huge celebration filled with friends, family, food, watching the sunrise, and visiting Temples and Shrines. 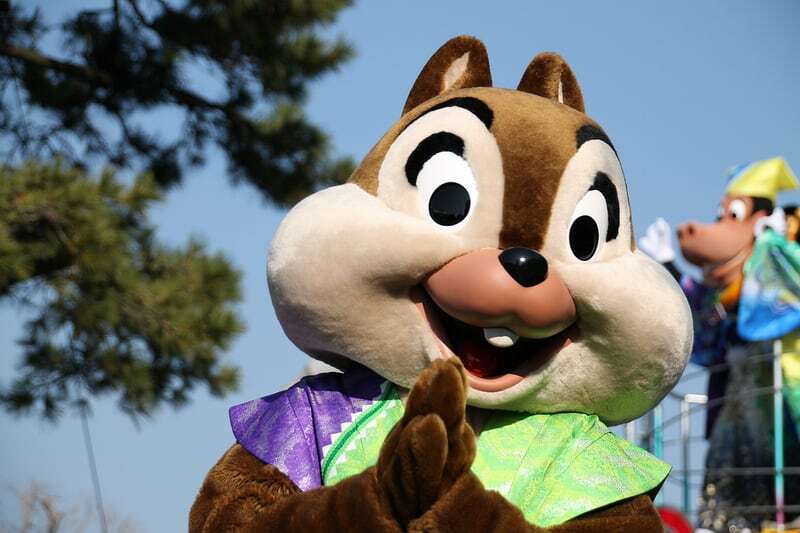 It’s no surprise that Tokyo Disney Resort puts on a special New Years event at both of their parks. There is a countdown party along with special New Years Greetings that happen from January 1st to January 5th. Here are some tips to help make the best of your visit. 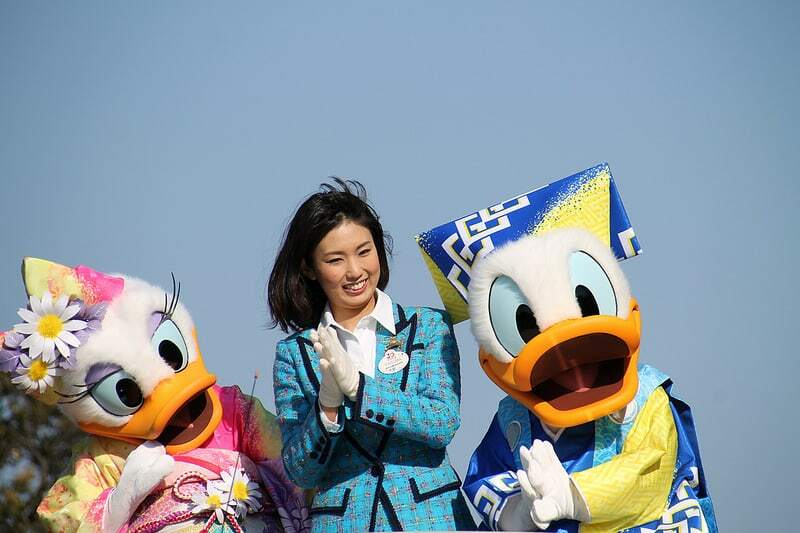 Donald and Daisy Duck in Kimonos. Photo provided by Sidonald on Flickr. To be able to attend this you will have to enter a lottery and win a ticket. The demand is so high that many events such as this are done by lottery. So be aware of this if you are wanting to visit the parks for the countdown. If you know someone who can speak Japanese, you can ask them to assist you as the website is not in English. If you’re unable to go there’s plenty of videos on YouTube. If this your first trip, we recommend skipping the Countdown Party. Winning the lottery is pure luck and the parks will have insane crowd levels. If you value your sanity that is. You can easily enjoy the New Years programs after New Years Eve as they run until around the 5th of January. Chip dressed in his new years best! Photo provided by Sidonald on Flickr. New Years Eve the parks close early for the Countdown Party. The crowds will be high for that day. After New Years the crowd levels will vary depending on the day of the week, but expect higher than normal crowds during the week. This is because most of Japan is on their Winter Holiday until around January 5th. Mickey and Minnie Kimonos. Photo provided by Sidonald on Flickr. 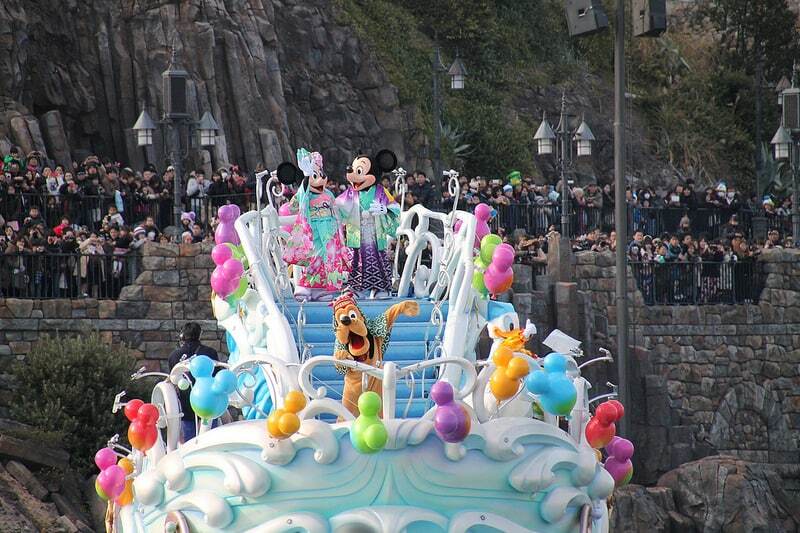 Both Tokyo Disneyland Park and Tokyo DisneySea put on a special New Years Greeting for the first few days of January. 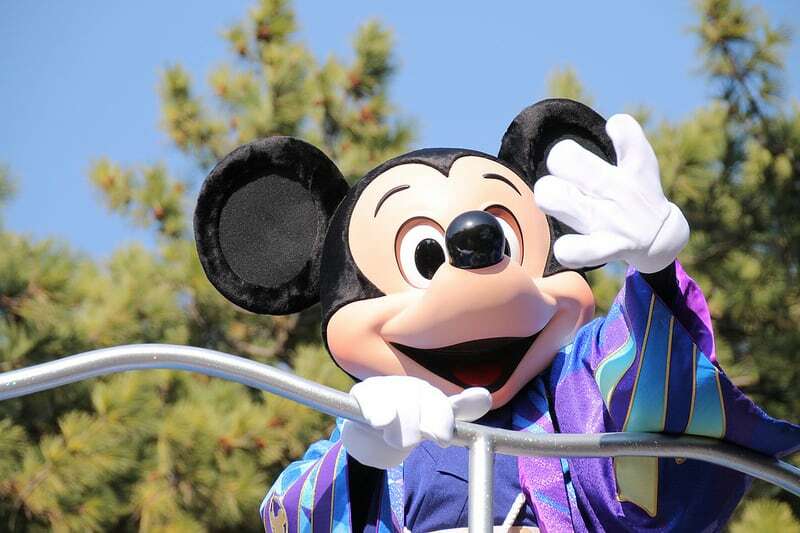 Where Mickey and friends are dressed up in their best Kimonos and put on a short show. While the show itself is nothing special in comparison to the other shows, being able to see our favourite Disney Characters dressed up in traditional Japanese Kimonos is pretty special. It shows just how localized and thoughtful the entertainment is made for the locals. If you want to see these beautiful Kimonos up close, make sure to see the show in Tokyo Disneyland as opposed to Tokyo DisneySea. The show at DisneySea is done in the Mediterranean Harbour and unless you have a capable camera you won’t be able to see the stunning detail of the Kimonos. Absolutely adorable plush as your favourite characters are dressed as horses that were available in 2014. In typical Disney fashion there is special merchandise specifically for New Years. They start appearing a few weeks before Christmas . Each year they will have merchandise to match which animal is being celebrated. 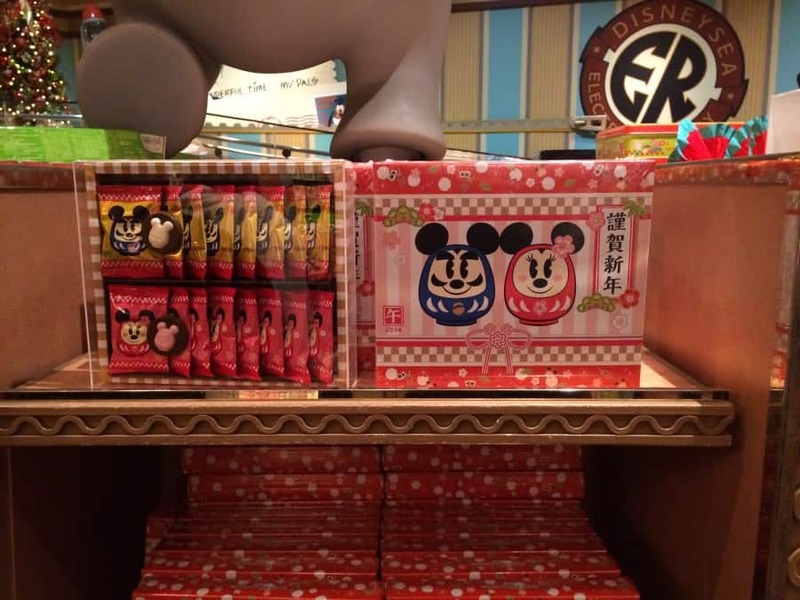 Have you ever wanted Mickey, Minnie, Daisy, or Donald in a kimono? You’re in luck, because they created quite of variety of items to choose from where they are wearing those beautiful kimonos. Delicious sweets that are made specially for New Years. The Japanese love their sweets, and it’s no surprise that there are gift shops that are dedicated to Omiyage (Japanese gifts). Here you can find the best in traditional New Years sweets to buy then give to friends, family, and coworkers back home. Anywhere from cookies to rice crackers. Keep an eye out for items that come in the cute tins, as the items inside come individually wrapped you can give the sweets away then keep the tin for yourself! 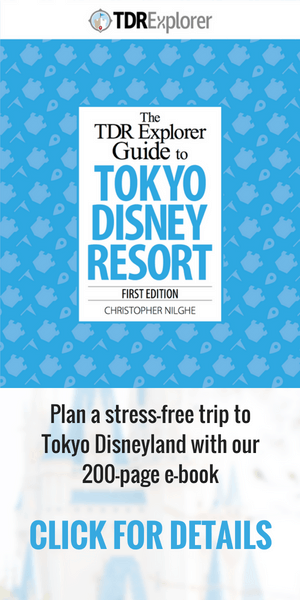 If you want a very unique Japanese experience while visiting the Tokyo Disney Resort then going during the New Years Celebrations is a must. You get a mix of unique live shows, merchandise, and food. 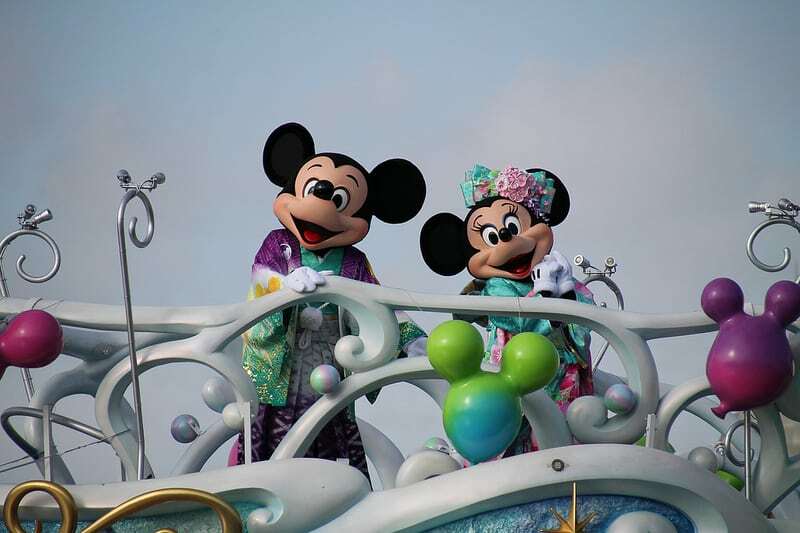 Also, who can resist Mickey and Minnie in kimonos? If you have been to the resort during New Years please share your experience in the comments! Happy New Years! 明けましておめでとうございます！Photo provided by Sidonald on Flickr. Do you know anything about the 2am opening to the general public on New Year’s Day? 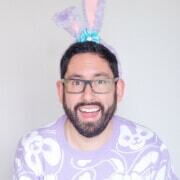 I know it will be insane, but I’m thinking of going. Sadly, to my knowledge, they aren’t opening it earlier for the public. It will be for Countdown Ticket holders only. Regular guests are allowed in at 8-9am the next morning. Too bad…got my hopes up. I have a flight at 5pm and the 2am opening would have been awesome. Thanks for the info! Thanks for this post! 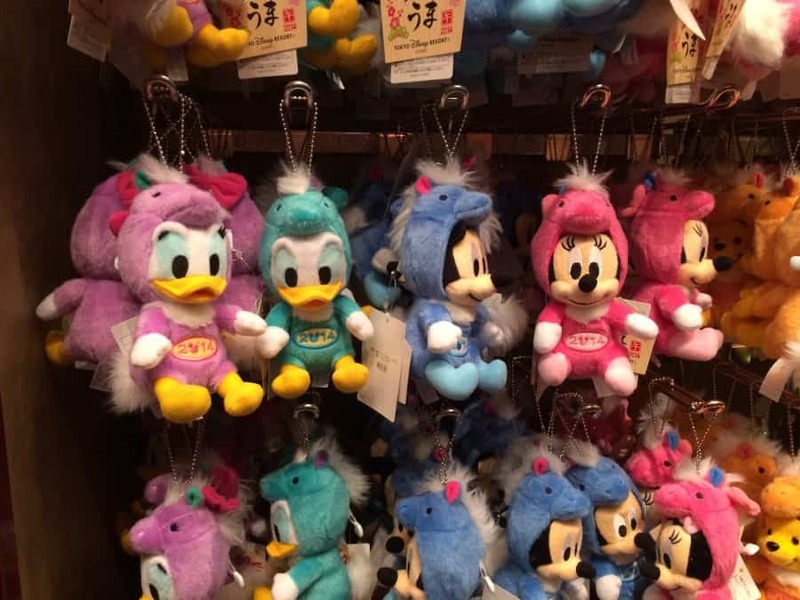 I’m thinking of going in December around Christmas to see if I can catch any of the New Year’s merchandise. I’ve actually never seen any before!